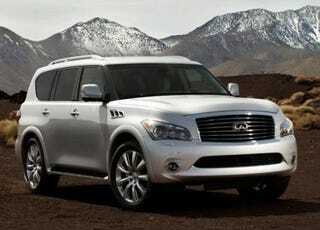 This is the 2011 Inifiniti QX. Look upon it and laugh. Not at the Mitsuoka-like styling. Rather, laugh at how Nissan's premium brand is quickly becoming the bloated, pudgy, uninspiring replacement for Buick.